What a spectacular way to start off the New Year! Vegetable Strudel from Lucy Gerspcher's cookbook, Hazelnuts & More, is sure to impress and please even the most discerning diner. It's both beautiful to look at and delicious to consume. 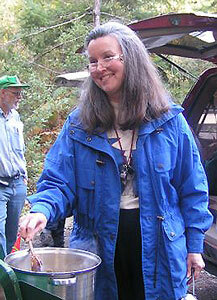 Gerspcher cautions: don't let the length of the recipe alarm you. And she's right. It goes together easily and can be done ahead in several steps. It can also be frozen and reheated in a 375 degree oven. 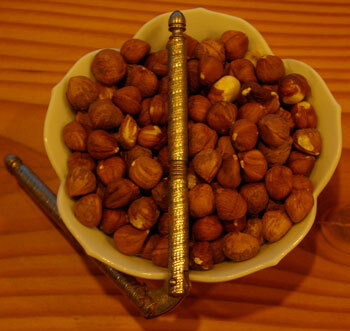 These hazelnuts are grown on a small farm near Oregon City. After shelling, store hazelnuts in the freezer to ensure a high quality ingredient. 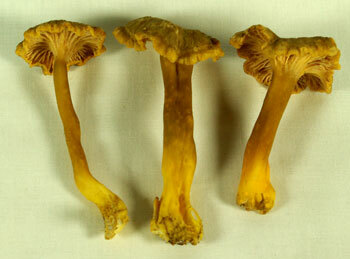 Just imagine having a bountiful supply of chanterelles at the end of December - how wonderful! 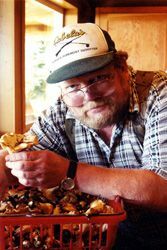 And, so is this month's recipe, chosen from the Timberline Lodge Cookbook by Leif Eric Benson. Serve the entree as a quick family dinner or as a special occasion dinner for guests...it never disappoints. 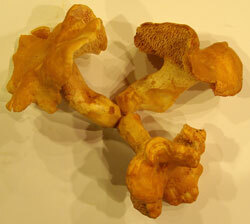 We enjoy both white and golden chanterelles in this recipe. Back home from a two-week trip on the second weekend in December, 2010, we were eager to see whether the superb mushroom season we've had this year was still going on. The weather, we knew, had been mostly temperate annd wet, with one brief cold snap that deposited a skiff of snow at our place, but temperatures stayed above freezing. 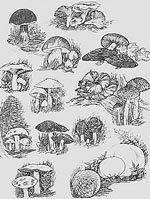 Would the mushrooms still be going strong? We needn't have worried. When we finally made it out this morning during a brief dry spell, we found lots of Chanterelles (all Goldens, no Whites this day) waiting for us. Most were still prime, but a few were old and soggy. Many were small, an indicator that "it ain't over yet!" We only had a couple of hours, so just visited a couple of spots on our property, but easily harvested almost two full baskets. 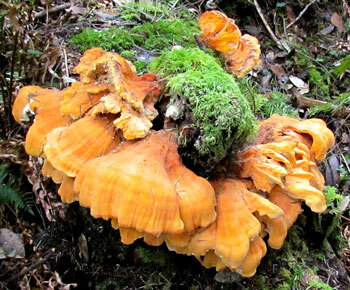 There aren't quite as many as our last time out here three weeks ago, but there are still plenty, and we suspect it will remain good for Chanterelles for at least two more weeks... unless we get a real, genuine cold snap, with temps in the 20's. The more delicate hedgehogs are beginning to fruit in Port Orford. Just to let us know that winter is coming on, we also found 60 or 70 hedgehogs. 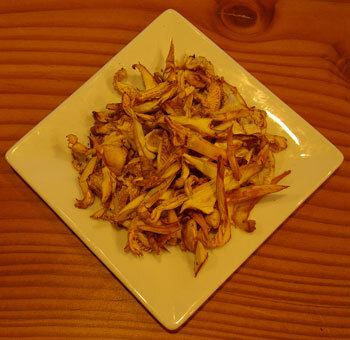 They may take a long time to pick (because they're small), but we love these little guys, and believe that their flavor is every bit the equal of Chanterelles. Boletes have been scarce, at least on our property. We haven't checked with others to see whether their success has been better. It may just not be a very good year for them.